Oh, and we’re doing 2 for 1 specials for our attendees! Of course our DJs will be in the building, spinning 3 different genres of music. 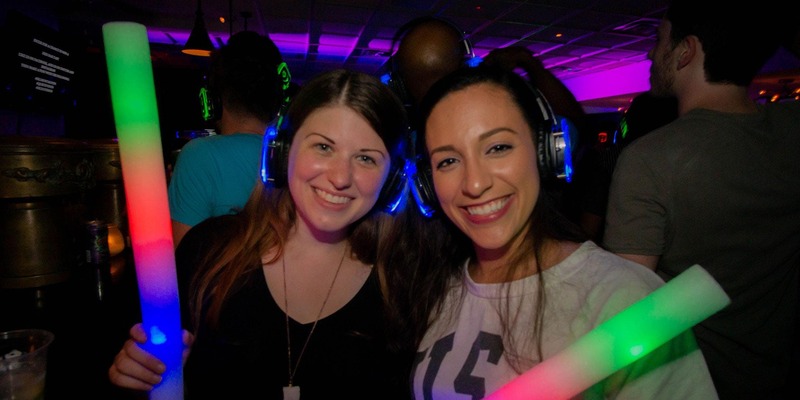 You’ll have the power to pick your party tunes with the flick of a switch on your headphones. Your Experience Includes:• 3 live DJs battling for your attention• A pair of Quiet Events Headphones• Glow in the Dark Gear• Outdoor bar, taco stand• 2 for 1 specials on beers and well drinks! Haven't been to a Quiet Clubbing party yet? Check out our YouTube video to see what the hubbub is about!